The T20 violas are made by our LIUXI workshop. It's one of our best selling models. The craftsmanship of the instrument, the sound quality and the price offered are hard to match anywhere else. 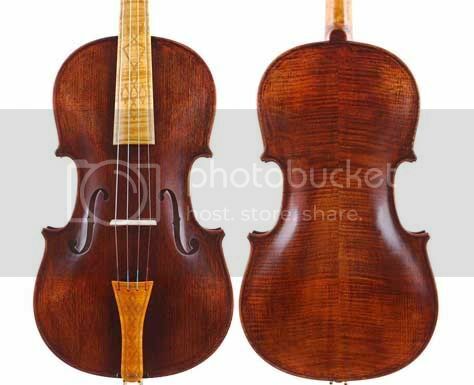 The listing is for Baroque style violas. 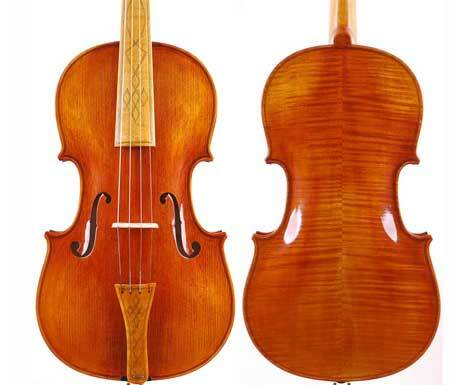 A baroque viola is very similar to a modern violin but with a few important differences: maple fingerboard (the St. Cecilia has an ebony inlay and matching tailpiece), shorter fingerboard, shorter neck, no fine tuners or chinrest. They are half oil, half spirit varnished in amber or antiqued color. The tone is strong, balanced and responsive. With a high quality brazilwood bow and a rectangular case.